Robo-Pong goes digital! Convert your Robo-Pong 2040 or 2000 into a 2050! 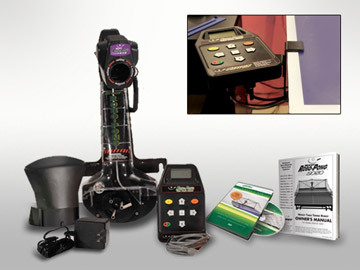 This upgrade kit consists of a 2050 robot body, digital control box and bracket, universal power supply, shielded connector cable, and 2050 Owner's Manual. Remove your old 2040 robot body from the net system, slip in your new 2050 body, mount your new control box to the table, make your connections, and your old 2040 is now transformed into a 2050! The digital upgrade kit offers a cost effective way to bring your earlier model Robo-Pong into the digital age.